We heard eating green is good for you. Now we’re not so sure. 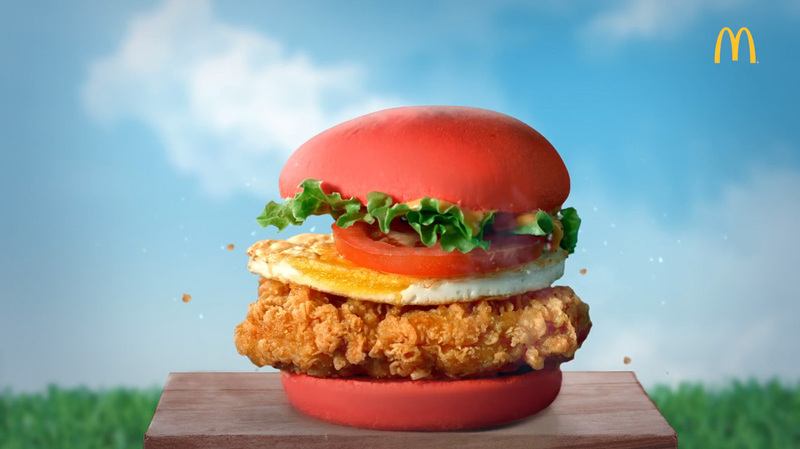 Honoring the new Angry Birds movie release in China, McDonald’s have released its strangest burgers yet. Meet the “Naughty Green Pork Burger” and the “Super Red Burger.” The “Naughty Green Pork Burger” comes with egg, lettuce and a mystery jalapeño sauce and the “Super Red Burger” comes with breaded chicken and lettuce. Of course this is pretty simple food coloring in action here, but seeing these kind of colors on a burger are certainly distracting. What do you think?